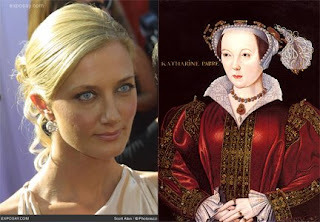 The buzz about town is that Joely Richardson from Nip/Tuck has landed the role of Catherine Parr for the fourth and final season of Showtime's The Tudors. Good match? I'm an entire season behind without Showtime, so I'm still eagerly awaiting the announcement of the Season Three release date. It's going to be quite awhile before I find out if Richardson fills Catherine's dutiful sixth wife shoes.